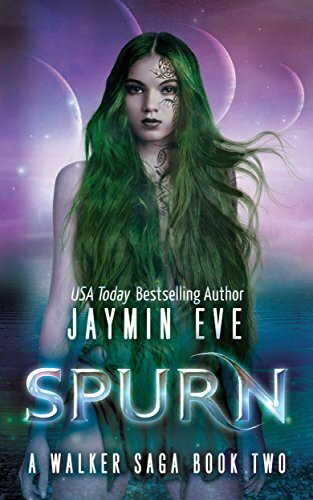 Spurn (A Walker Saga Book 2). Book two in the Walker Saga follows Abigail and her friends as they tame the world of Spurn. ‘Go to Spurn,’ she was told. Oh, and by the way the planet is ninety-five percent water and the inhabitants are hybrid fish. Of course, no one seems to care that Abigail can’t swim. Surprisingly, jetting off to a water planet is not the weirdest thing to happen this week. But she’s on a deadline to the find the first half-Walker girl, as the very essences of the seven worlds are starting to unravel. And with each Seventine release the chaos ricochets further. Of course, with her Walker energy causing havoc and the savage Spurns ... well, it’s safe to say nothing so far has gone to plan. And on top of that a bombshell she did not see coming. Secrets are revealed and loyalties challenged but with her best friend and soul mate by her side, can she really lose out? Note from author: the first chapter of Spurn is just a sneak peak into the world of Spurn and it's half-Walker Talina. The rest of the book (all chapters after the first) are from Abby's point of view.